Using smartphones profoundly changes the way the thumb and brain work together, a new study finds. 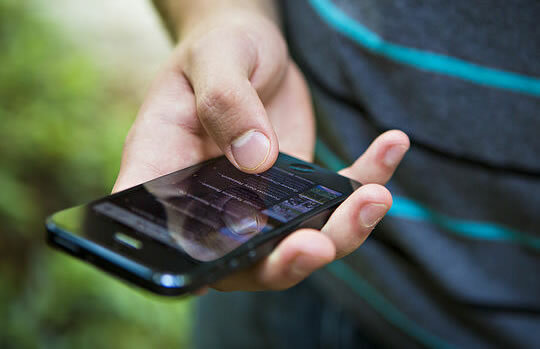 The electrical activity in a smartphone user’s brain spikes when their fingertips are touched, in comparison to an old-school phone user, the researchers found. And the more people use their smartphones, the greater the spike in activity across the cortex. “I was really surprised by the scale of the changes introduced by the use of smartphones. The study was inspired by how many people are now using their thumbs and fingers in radically new ways to operate their smartphones. Given that the brain can reorganise itself in response to new behaviours — known as neuroplasticity — the researchers wanted to see how smartphone use is affecting the brain. “I think first we must appreciate how common personal digital devices are and how densely people use them. The results of the study, published in the journal Current Biology, showed that smartphone use over the previous ten days predicted electrical activity associated with the thumb and forefingers (Ghosh et al., 2014). “Remarkably, the thumb tip was sensitive to the day-to-day fluctuations in phone use: the shorter the time elapsed from an episode of intense phone use, the larger the cortical potential associated with it. Our results suggest that repetitive movements on the smooth touchscreen reshaped sensory processing from the hand and that the thumb representation was updated daily depending on its use.